Is Lack of Trust Costing You Business? "Trust, Not Money, is the Currency of Business and Life"
Think about it. What products do you buy consistently? Why? Because you trust that they will deliver their promise every time. And what happens when they don't? You change products and they lose your business. The same is true for everything in your life. When someone you respect breaks agreements with you, you no longer trust them. 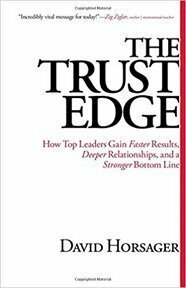 Growing your trust edge is one of the best ways to get more business, grow your clientele, and improve your life. So how do you do that? • Consistency- people love to see small things done consistently; it builds trust. As you work on growing your business, spend time thinking about how you can develop each of these qualities, both in yourself and in your culture. The way you train your employees in how they deliver goods and services can make a huge difference. Do they meet their deadlines consistently? Do they treat others well with compassion and caring? Do they have clarity about exactly what they're supposed to do for whom by when? Do they know what they're doing? All of these qualities are key to building trust internally and externally. You can cultivate greater trust in your organization and it will pay off in countless ways. 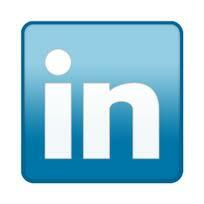 This entry was posted in Success, trust and tagged business success, clarity, trust. Bookmark the permalink.